EVE Online is a space adventure just waiting for you to join in. The game is a player driven MMORPG with an insane amount of depth. Launching in 2003 the game has slowly gained a loyal following to reach half a million subscribers in 2013 and went free to play in 2016. 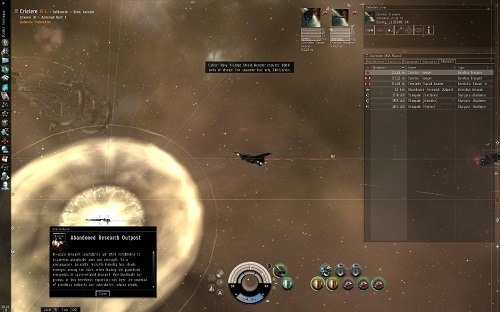 EVE Online is a game of freedom allowing players to approach the game in the way they want and find their own place in this ever expanding universe. The game features thousands of different star systems which are connected by stargates allowing players to easily jump from location to location. These systems all have plenty of planets, moons, stations and other space anomalies just waiting to be explored. The game is set far into the future (approximately 20,000 years) in a time where humanity has expanded into the Milky Way looking for resources. Eventually a wormhole was discovered to a distant galaxy known as New Eden. Soon after its discovery the wormhole collapsed leaving the new settlements to fend for themselves, which is the world of EVE Online that you join. The role that you take in this world is up to you. Do you want to focus on mining planets and asteroids for resources to purchase a new mega transport ship? Or maybe you want to manufacture and trade directly with other players? Or why not play devil’s advocate and focus on piracy? You’ll start your adventure by creating a character (up to three per account) and choosing from one of the available game races. From here you’ll fly around space in your own ship while docking at stations and participating in PvE and PvP combat all while trying to increase your reputation in the game and upgrading your ship. Your character skills in a variety of mechanics will also develop over time and even continues while you’re offline to ensure progress is always being made. 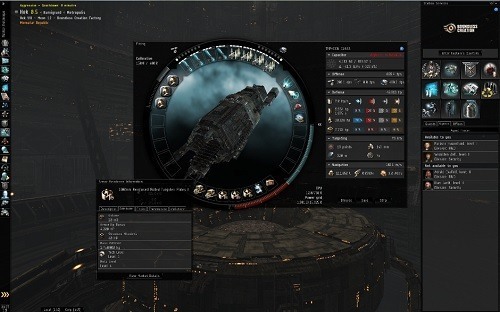 The real draw to EVE Online is the community that makes the game feel like a living and breathing environment. A player driven MMORPG set in space. Huge universe waiting to be explored. Play the game the way you want. Train your skills even when offline. A living and breathing game world awaits.